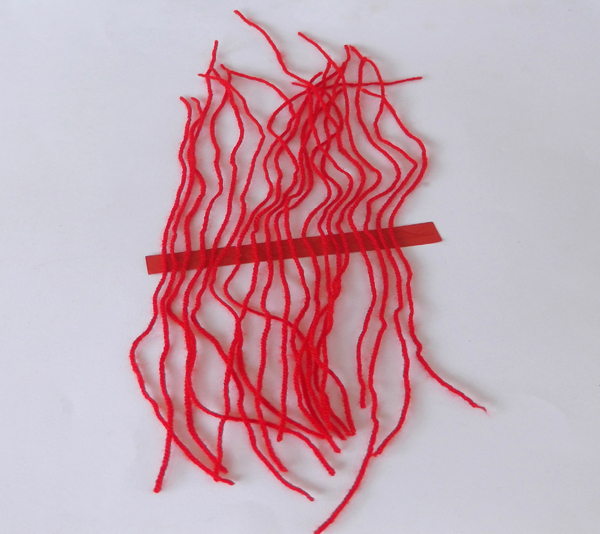 Cloth, hairstyle, face and body characteristics make people different in appearance. Can you think of other parameters that affect the look of human beings? 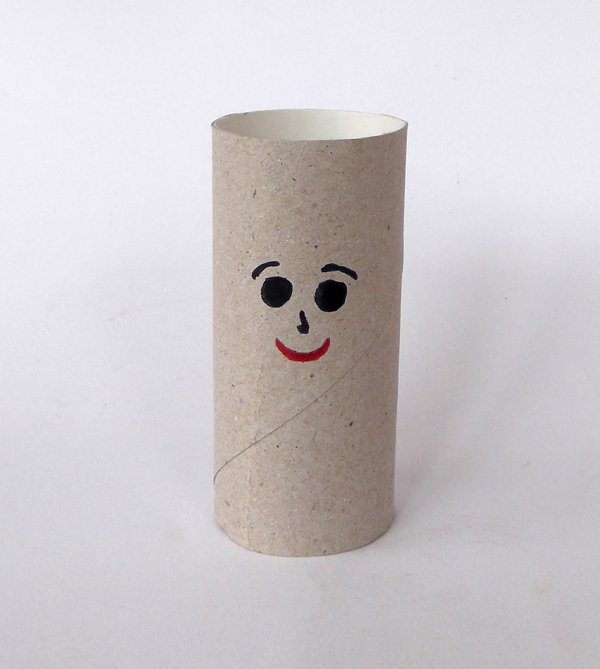 At least one recycled toilet paper roll. For each figure you'll need one roll. 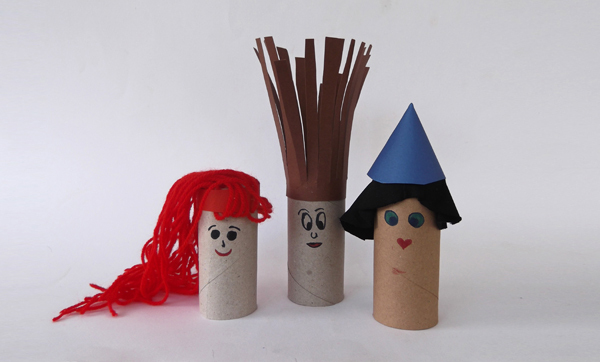 Learn how to make your own doll figures with toilet paper rolls and other easy to find materials, by watching the video or by following the step by step instructions. 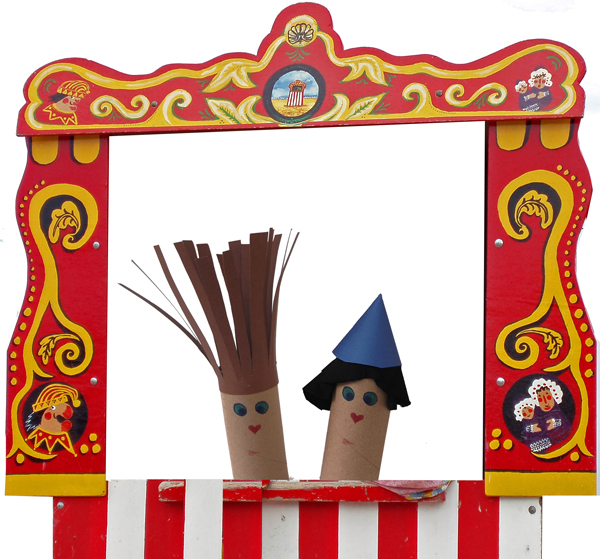 You can even make you own puppet theater, with almost zero cost. 1. 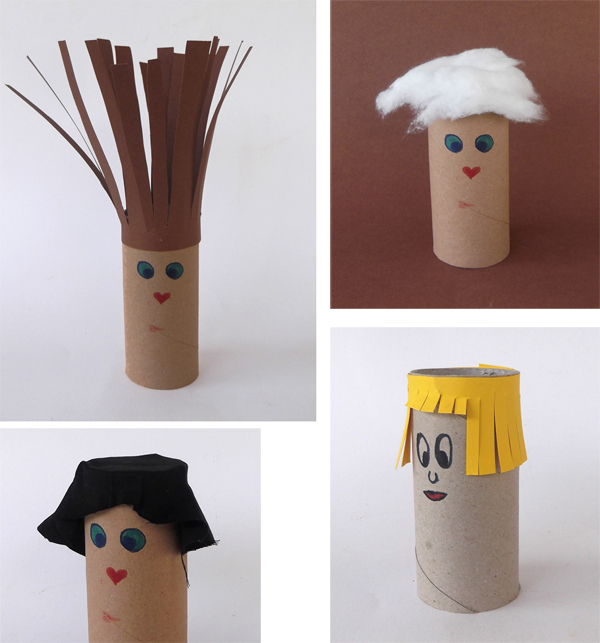 With pencil and color markers draw facial characteristics on the paper roll. 2. 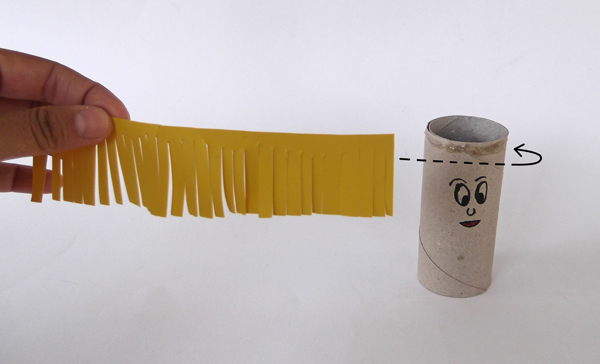 Cut a long strip out of colored paper, longer than the perimeter of the paper roll. 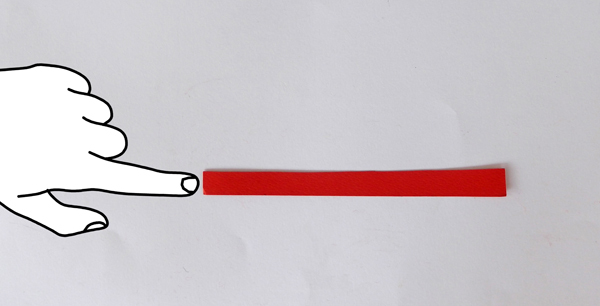 The width of the strip to be about the width of your finger. 3. 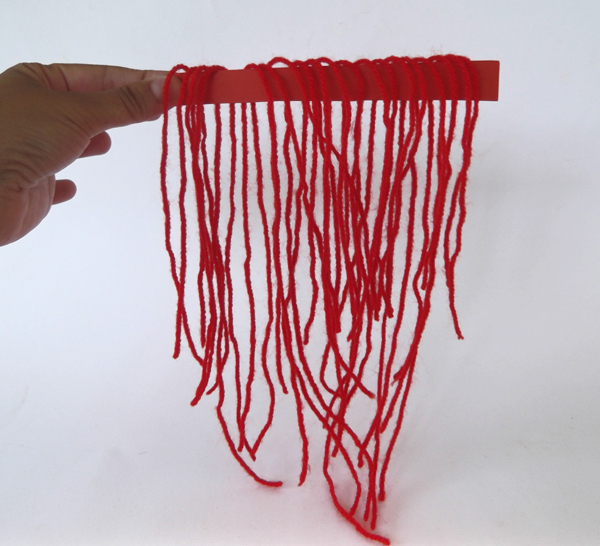 Cut about 15 pieces of knitting yarn. 4. 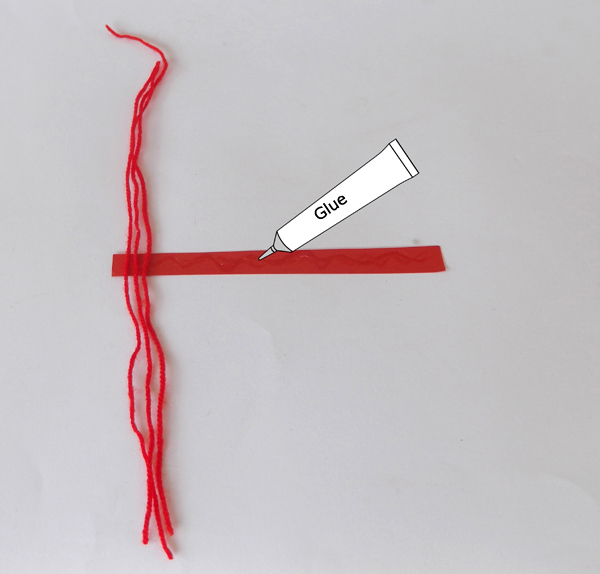 Apply glue on the paper strip and glue the yarns in place. 5. Cover the full length of the strip with knitting yarn. Let the glue dry. 6. 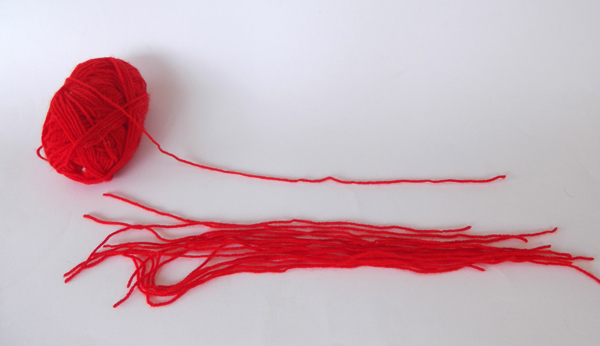 Lift the strip, dividing the yarn in half. 7. 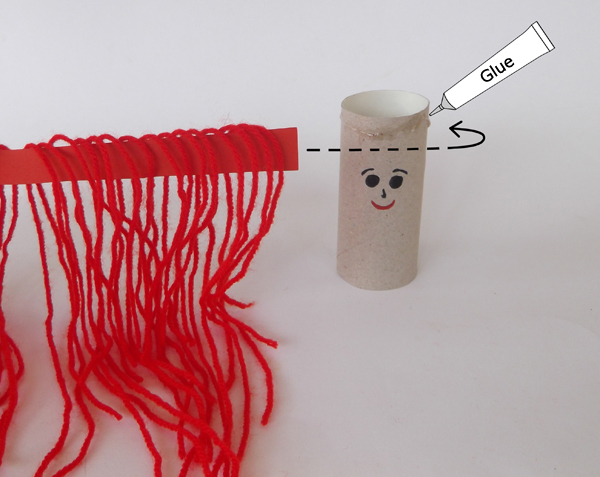 Apply glue around the top of the paper roll and glue the strip around. 8. Wait until the glue dries. 9. Turn the roll over. The hair will fall down. Experiment with several hairstyles !! The hair of the figure are long enough, so as to experiment with several hairstyles. Try for example to make a ponytail or a braid. Experiment with other materials for the hair !! 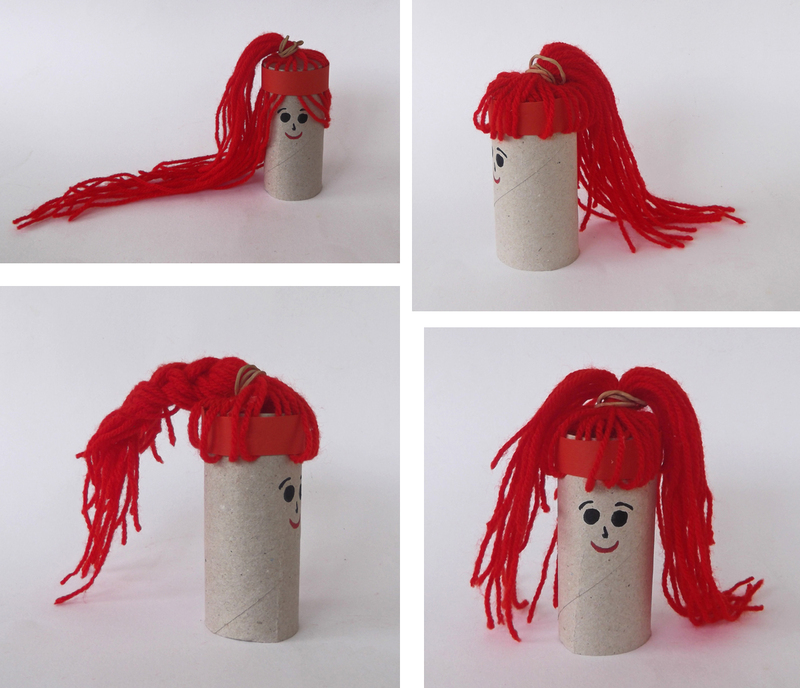 Try to make the hair of the figure with colored paper. 1. Cut a wide strip out of colored paper, long enough to wrap the strip around the roll. With scissors cut slits along the strip. 2. Glue the strip around the top of the figure. 3. Cut the front hair to reveal the face. 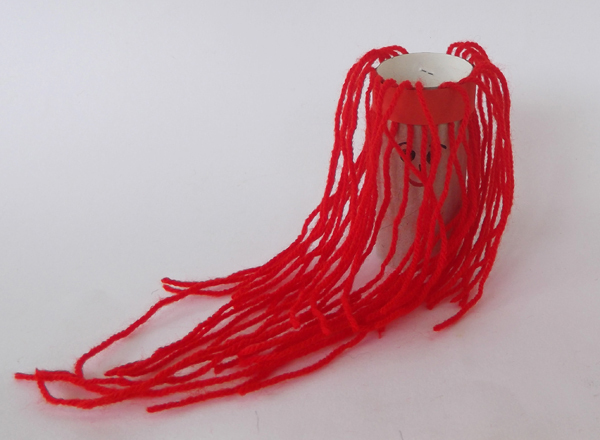 Think of other hairstyles and materials to make fashionable and eye-catching hair for the figures. You can use for example cotton, fabric even grass. Find an interest theater play or write a play by yourself. 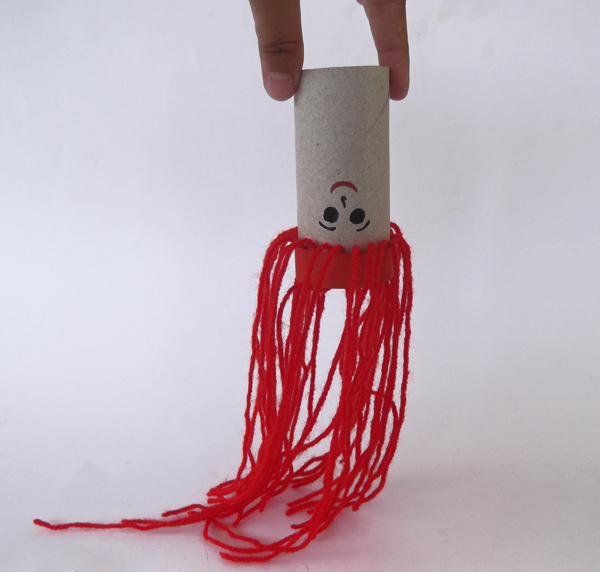 Then make the puppets with toilet paper rolls. 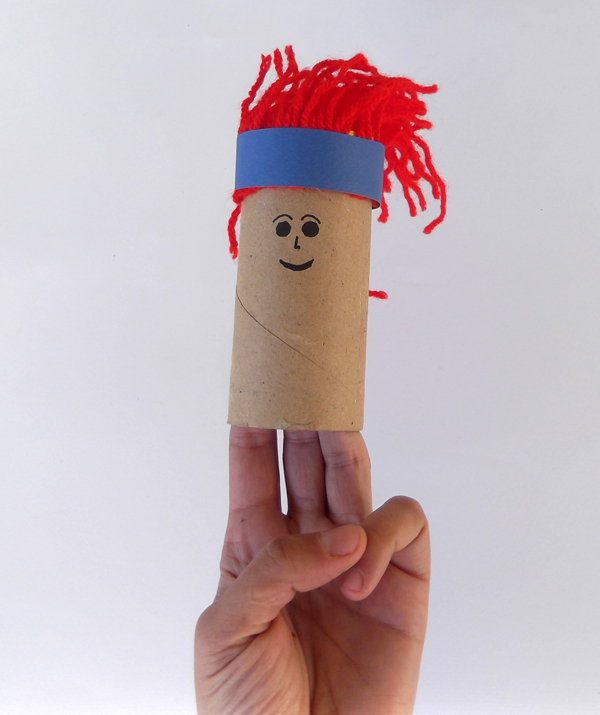 Place your fingers inside the roll to play with the puppets.